What Is The FBI Android Virus And How Do You Remove It? Ransomware, forms of malware that lock down your device and demand a payment, or ransom, to release your files, have seemingly increased in usage in the past year, but the earliest forms of ransomware have been around for longer than that. The FBI virus began infecting computers several years ago and uses the same scare tactics seen in freshly minted ransomware. As reported in a post on Spyware News, the FBI virus has now been adapted and evolved to infect Android smartphones and tablets. Common methods of infection stem from malicious email attachments, or false alerts on websites asking you to update Adobe Flash, Java or a similar program. Once the malware infects your device, it quickly locks it so you can’t access any apps or files and displays an alert claiming to be from the FBI. The alert demands $300 to be paid within 48 hours. Although seeing this type of warning is surprising and jarring, there are many clues that this is a hoax. Most notably, the warning is littered with typos and poor grammar, which is a common characteristic of malware and malicious emails. While it can be extremely difficult to by-pass this malware, under no circumstances should you pay the fine asked for. There’s no guarantee that your device will be unlocked if you do and that money goes to prolong this threat. The FBI Android virus, in fact, doesn’t actually encrypt your files so removing the malware should fully restore your system. So, how do you remove it? First, turn off your device and restart in Safe mode. To do so, turn it on and hold the menu button with one of, or both of, the volume buttons, depending on your device. Once in Safe mode, go to Settings, and click on Apps or Application Manager. Find any suspicious apps you don’t recognize. The FBI virus typically disguises itself as a video player or an app called ‘ScarePackage’ or ‘BaDoink’. Uninstall the suspicious app. Restart the device to see if it has been restored. If these steps don’t work, it’s not a lost cause. You’ll just need a little more expertise. If you’ve been infected by the FBI virus or any other type of malware, Geek Rescue will help. Come by or give us a call at 918-369-4335. For your business needs, visit our parent company JD Young. 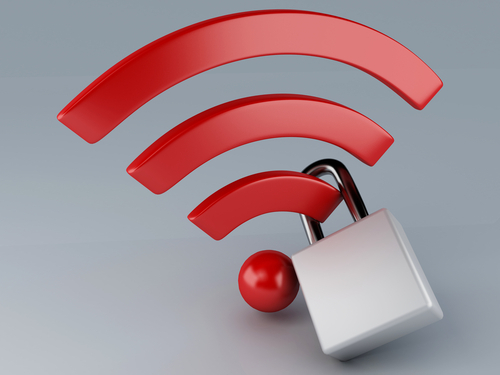 You’ve likely heard warnings about using unsecured WiFi networks, but what have you done to protect yourself? According to a recent study conducted by Experian, most of us are making little to no effort to stay secure despite understanding the risks. More than a third of those responding admitted to logging into their bank account while on public WiFi and over half of respondents admit to entering credit card information to sites without checking to see if they’re secure. And yet, 9 out of 10 believe everyone should be more concerned about identity theft. So, what can you do? At Private WiFi, Jared Howe listed some ways to keep your personal information secure in any situation. Whether you regularly connect to public WiFi or you’re extremely careful, chances are the password to at least one of your online accounts will be compromised eventually. Password theft can occur in many different ways and it doesn’t always mean an individual user did anything wrong. That’s why it’s important to regularly change passwords and use unique passwords for each account. Changing your passwords protects you in case your log-in credentials were recently stolen and using different passwords for each account ensures that when one account is hacked, it doesn’t mean a criminal now has access to multiple accounts. In order to infect your device with malware or trick you into giving up your personal information, cyber criminals have a variety of methods. You have to be cautious of links and attachments sent to you in an email. Downloading these attachments or following these links can infect your device. Sometimes, the websites those links point to are designed to persuade you to enter your information, however, which then allows criminals to use that information to hack into accounts or steal your identity. 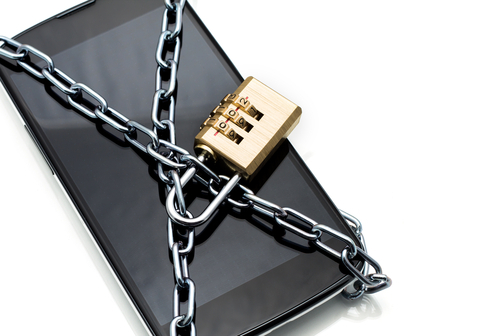 Many users don’t use any kind of lock on their smartphone or tablet, but that makes your device more of a target. Even though most locking methods aren’t incredibly difficult for a knowledgeable individual to by-pass, just having one in place discourages many would be thieves. It’s also advisable to disable geotagging features. If you find yourself needing to connect to public WiFi often, you should consider investing in a Virtual Private Network. A VPN encrypts the data transmitted between your device and the internet, which would otherwise be free to intercept on an unsecured network. There are many options available for effective VPNs. Staying secure means investing time and money now in order to avoid catastrophe later. For help with security on any of your devices, or to recover from a malware infection, call Geek Rescue at 918-369-4335. For your business solutions needs, visit our parent company JD Young. Having your smartphone or tablet stolen is certainly no fun, but device theft could actually have more than just one victim. There’s also the individual who later purchases the stolen device. Buying a stolen device also isn’t ideal and some users have actually bought devices online that are still locked from their previous user. While there are some precautions you can take to avoid buying a stolen device, Apple has a tool that helps you avoid those devices that have been locked by the previous user. Lucian Constantin has more at TechWorld. For used iPads, iPhones and iPods, Apple offers a tool through iCloud called Activation Lock. Users don’t need to login themselves, so you don’t have to be a current Apple device owner to use the service. All you need is the serial number of the device, or the IMEI (International Mobile Station Equipment Identity). By inputting one of those numbers, you’ll be able to see the current Lock status of the device. This tool has been available since the release of iOS 7 as part of the Find My iPhone feature. It wasn’t turned on by default, however, until iOS 8. The ability to check Activation Lock status is important because hackers actually figured out how to fool devices that had been locked remotely by their owners. That would allow them to sell functioning devices, but that also means the business of stealing devices would continue to be profitable. By using Activation Lock, users are able to see if the owner locked the device, even if it had been hacked and unlocked later. Simply by including Activation Lock in iOS 7, Apple saw a significant drop in iPhone thefts in both New York and California. By having it on by default in iOS 8 and publicizing it more widely, it could decrease device theft even more. Apple has some extremely helpful tool for when your phone is stolen or lost, but when your device is broken or just having issues, bring it to Geek Rescue or call us at 918-369-4335. It’s no secret that mobile devices, like smartphones and tablets, are becoming an increasingly attractive target for cyber attacks. Threats associated with mobile devices have increased exponentially over the past two years and will likely continue to increase as more users store more information on their phones and tablets and use them to access more. That’s why it’s more important than ever to know how to keep your devices safe and protected. 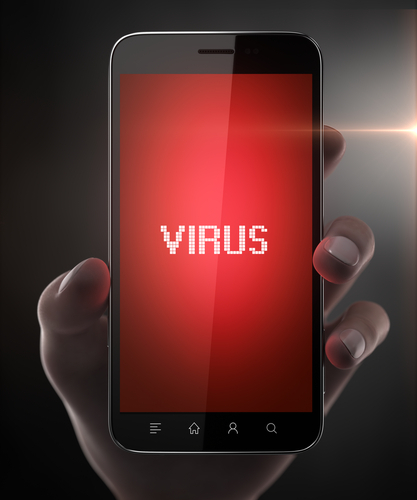 A post at Spyware News details a few helpful tips for preventing malware infection and keeping your mobile devices safe from attacks. Most smartphone users have received a text from a number they don’t have saved in their contacts. When these messages are from a friend whose number has recently changed, they’re perfectly harmless. However, when these messages contain links to websites, or inform you about services you don’t remember ordering, it’s a sign of a problem. The last thing you should do is click on the links provided or reply to these messages. If the message claims to be from a legitimate business, like your cell phone provider, you should contact them directly to find out about the message. Updates for mobile operating systems come out fairly often. The reason for that is because of security flaws that are found and exploited by attackers. When you don’t update in a timely manner, you’re leaving a gaping hole in your phone or tablet’s security, which attackers already know how to exploit. It’s always a good idea to back-up your device before updating the OS, but be sure it doesn’t take you too long to implement the updates. The apps you choose to install on your device are often the gateway for malware. Some apps are actually malicious programs, but others simply don’t have adequate security in the case of an attempted attack. If you’ve installed apps from outside the official app store for your device, there’s a better than average chance that you’ve opened yourself up to infection. Even official apps have been known to contain issues, however. So, you’ll want to update them regularly too and be sure you’re aware of the permissions each app is granted. It’s common for users to leave their Wi-Fi capabilities turned on at all times. This way, their device connects automatically to available networks. It’s convenient, but it isn’t always safe. If your device is set to connect to any network within range, it could be automatically connecting to unsafe networks without you even knowing it. That could potentially allow others on the network to monitor your activity and gain access to your personal information. When you’re away from trusted Wi-Fi networks, it’s a good idea to turn off that capability. Keeping information stored and accessed by your mobile device safe isn’t as easy as it once was, but with a few intelligent practices, you’ll be able to stay protected. If any of your devices have been attacked or infected by malware, or you’d like to implement better security, call Geek Rescue at 918-369-4335. There’s a security flaw in Apple’s mobile operating system, iOS. No, it’s not the same flaw that we reported yesterday. That widely publicized flaw allows attackers to intercept data being sent between your phone and web servers and an update that fixes it is already available for most affected users. This new flaw, as Lance Whitney of CNet reports, allows for the remote capture of “every character the victim inputs” on an iPhone or iPad. The vulnerability was uncovered by security firm FireEye. A keylogging app is able to run in the background of any iOS 7 device because of a flaw in the Background App Refresh setting. You may be wondering what the danger of a hacker being able to monitor every press of your touchscreen, or home button, or volume controls is. Attackers aren’t just able to monitor when you touch your screen, but precisely where on the X and Y axis. That means that passwords and log-in credentials could be stolen. Your phone’s lock screen could also be compromised. Think of everything you use your phone or tablet for and then consider how dangerous it would be to have a stranger looking over your shoulder the entire time. Unlike the SSL vulnerability that was revealed recently, this iOS vulnerability requires a malicious app to be installed on the device first. Of course, there are a number of ways an app can make it’s way to your iPhone. Apps downloaded directly from the official App Store are usually legitimate, however. So, these malicious apps would likely come from 3rd party app stores or email attachments. Apple has publicly stated that they’re working with FireEye to create a patch to fix the problem. In the meantime, users can close any apps running in the background by double-tapping their Home button. Close any apps you aren’t currently using. If there’s an app running that you don’t recognize, there’s a good chance that it’s malware. If you have a device that’s been infected with malware, bring it to Geek Rescue or call us at 918-369-4335. About a third of Americans over the age of 18 own a tablet. That kind of wide spread adoption means there’s always a large portion of people in the market for a new device. The most popular options are generally regarded as the Apple tablets, but Amazon’s offering of the Kindle Fire has gained a fair share of the market. At Gizmag, Will Shanklin pitted the Kindle Fire HDX 8.9 against both the iPad Air and the Retina iPad Mini. Here are the results. The first thing most consumers look at when buying a tablet is screen size. These three represent the full range of options. The iPad Mini at 7.9-inches is the smallest of the bunch. The Kindle Fire HDX offers an 8.9-inch screen, while the iPad Air is a full-size 9.7-inches. While each offers high resolution displays, the Kindle is actually the sharpest. It features 339 pixels per inch, compared to 326 on the iPad Mini and 264 on the iPad Air. The nod also goes to the Kindle for color accuracy. In the actual construction of the tablets, the Apple products boast that familiar anodized aluminum, while the Kindle is matte plastic. All three devices feature typical battery life of about nine to ten hours, which is outstanding. And all three feature powerful processors that are more than capable of handling your typical uses. The most notable difference between these tablets is the app store. While the Apple tablets have the largest selection of apps, the Kindle suffers a bit from limited selection. Amazon’s Appstore features fewer options than Google Play, but for most users that won’t be a big issue. All the most popular apps, like Facebook, Twitter, Netflix, Candy Crush and Angry Birds are available. The advantage for Kindle adopters is the inclusion of the Mayday button, which allows you to instantly connect with a customer service representative. Don’t worry, while you can see them, they only see your screen. Apple users will have Siri and those other familiar services all starting with ‘i’. There are also Google services apps available that aren’t for the Kindle. The cost of each device will make the decision for many users. The Kindle Fire HDX is the cheapest retailing at $380 for the 16 GB model. 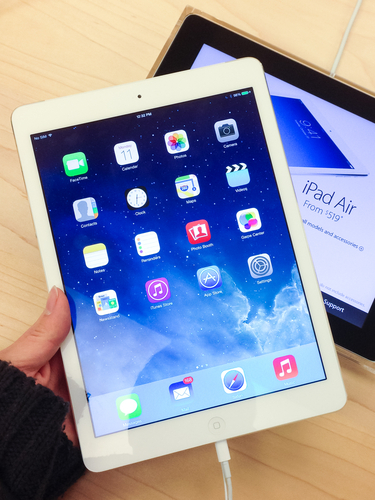 The 16 GB Retina iPad Mini starts at $400 and the iPad Air at $500. You’re getting a top of the line tablet with any of these choices, but that’s understandably not always worth the money. Regardless of what tablet you choose, Geek Rescue fixes it when you have problems. For malware, software or hardware issues, call us at 918-369-4335. Could Your Web Browser Give You A Longer Battery Life? 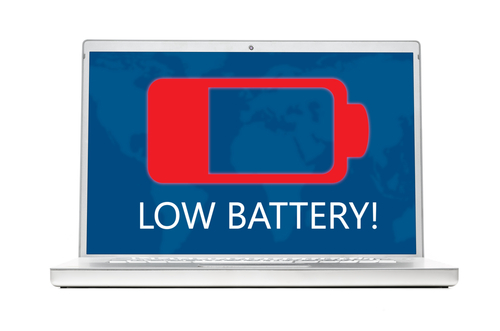 If you’re a laptop or tablet user, you understand how important it is to get the most out of one battery charge. Adjusting settings can earn you some extra time, but optimizing the applications you use is another way to improve battery life. At 7Tutorials, Ciprian Adrian Rusen tested the five most popular web browsers on three different devices to find out which provided the biggest boost in battery life. Tests on each device were run with ‘balanced’ power plans. Screens on each device were set to never turn off in order to simulate a constant browsing experience. Each device tested browsers Microsoft Internet Explorer 11, both the touch and desktop versions, Google Chrome 32, Mozilla Firefox 26, and Opera 18. All devices were running Windows 8.1 as their operating system. This tablet featured an Intel Atom processor running at 1.33 GHz and 2 GB of RAM. It featured the longest battery life of any of the devices tested and also the largest discrepancy between a browser’s affect on battery life. Internet Explorer Touch performed the best lasting eight hours and 52 minutes on a single charge. IE’s Desktop version lasted about an hour less, while Chrome and Firefox each ran out of battery after about six and a half hours. Opera lasted six hours and 11 minutes. This tablet is much more powerful than the Toshiba Encore and the battery life reflected that. The Surface Pro 2 had a quad-core Intel Core processor running at 1.6 GHZ and 8 GB of RAM. The best browser was again Internet Explorer, but this time the Desktop version outperformed the Touch by about an hour. Firefox lasted four hours and 22 minutes, which was good for second. Opera allowed for three hours and 56 minutes of battery life, which made it ten minutes better than IE Touch. Chrome was the worst performing browser in this test, dying before the three and a half hour mark. The lone laptop in the test is also the only used device. The battery life was described as poor and even the top performing browser couldn’t last 90-minutes. It also featured a quad-core Intel Core processor. It also had 6 GB of RAM and a much larger hard drive than the tablets. The original battery had been replaced with a generic that fit the same specs. Once again, IE’d Desktop browser was the top performer at an hour and 25 minutes. The difference between the top browser and the worst, IE’s Touch, however was a scant 12-minutes. The findings from this test suggest that Internet Explorer will likely give your device a longer battery life. Depending on the age of your device and the efficiency of your battery, a different browser might not make much of a difference, however. If your device is suffering from poor battery life, slow performance or broken hardware, fix it by calling Geek Rescue at 918-369-4335. Generally, pieces of malware only harmful to the devices they target. For example, malware designed for Windows won’t be harmful to mobile devices, or vice versa. However, researchers have seen examples of malware that infects Android devices with the ultimate goal of infecting a PC connected to them. 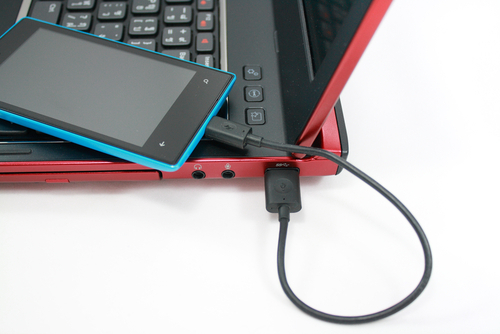 Now, as the Symantec blog reports, there is evidence of malware that infects PCs with the ultimate goal of infecting an Android device that connects via USB. So far, there’s been no official word about how the malware, known as Trojan.Droidpak, infects PCs. Once it’s downloaded, the trojan begins adding malicious files to your system. First, a DLL registers itself as a system service. Then, a configuration file is automatically downloaded. Then a malicious APK and ADB (Android Debug Bridge). If an Android device is connected to the infected PC, an installation of the APK and ADB files is attempted repeatedly to ensure infection of the mobile device. To be successful, the malware requires USB debugging mode to be enabled. To check if your phone allows debugging mode, go to ‘Applications’ in the settings menu. Then, select ‘Development’ and you’ll see an option to allow debugging mode when your phone is connected to a PC via USB. If the malware successfully infects your smartphone or tablet, it disguises itself as an application called ‘Google App Store’ that even steals the Play Store logo. This particular trojan specifically looks for banking applications. When found, a user is prompted to delete that version of the banking app and replace it. The replacement app is a malicious version used to steal financial data and log-ins. The malware is also able to intercept text messages and forward them to a third party. The good news is that currently the trojan only targets Korean banking apps, but it’s easy to see how this malware could be adjusted to start targeting US Android users. Turning off USB debugging mode is a good start and you should also turn off the AutoRun feature on your PC when connecting another device. If your PC, smartphone, tablet or any of your devices are infected with malware, bring them to Geek Rescue or call us at 918-369-4335. Could Facial Scanning Be Apple’s Next Security Feature? Apple introduced Touch ID as a security feature that recognizes a user’s fingerprint to unlock the iPhone 5S. That feature has come under scrutiny after security experts and hackers uncovered flaws and ways to by-pass it. Some users have also complained that Touch ID doesn’t always recognize their finger, or it takes too long to scan. Soon, Apple users may not have to worry about scanning fingers at all. Lance Whitney, of CNet, reports that Apple has been granted a patent on an idea that would allow facial scanning to replace the current Touch ID feature. The facial scanning function, which was patented under “Personal computing device control using face detection and recognition”, is still in its infancy. It appears, however, that Apple plans to make it a security feature on future products. In many ways, it works the same as Touch ID does for your fingers. A user would start by scanning their own face and the face of anyone else they want to have access to their smartphone or tablet. The scan would record the shape, texture, color and size of your features and store them. Then, to unlock the device, you would have to again scan your face. Only registered users would be able to unlock the device, while unauthorized users would be stuck at the lock screen. 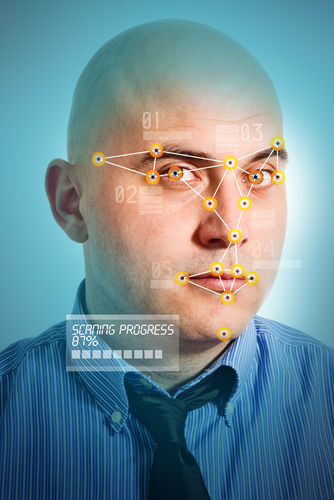 Calls, emails, texts and other notifications would also be locked behind the facial scanner. So, if a call comes in, your smartphone would scan your face before allowing you to answer. Many of the same security flaws and workarounds that existed with Touch ID after it was introduced are still possible with facial scanning. A password would likely still act as a back-up for situations where the facial scan didn’t work, which opens the door for hacking. But, this is another interesting step for improved security on mobile devices. If you’d like to improve the security on any of your devices, or you’re having problems like broken hardware, slow performance, or malware, bring your device to Geek Rescue or call us at 918-369-4335. Are Mobile Devices More Secure For Online Shopping? 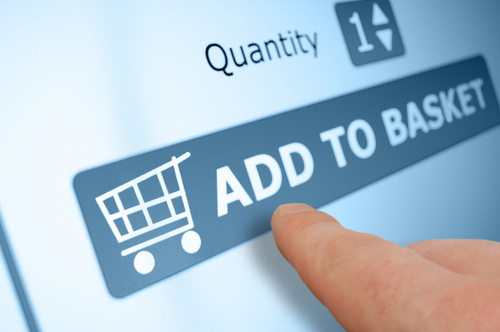 Cyber Monday marks the beginning of a busy online shopping season. Unfortunately, that’s well known information, which means criminals will be targeting shoppers hoping to cash in on the holiday season. To keep yourself, and your bank account, safe, Jennifer LeClaire of Lumension suggests doing your online shopping and banking on a mobile device. Many users assume that a mobile device, like a tablet or smartphone, is less secure than their PC. This is usually only true because they’ve failed to take the same security precautions on their mobile device that they have on their laptop or desktop. 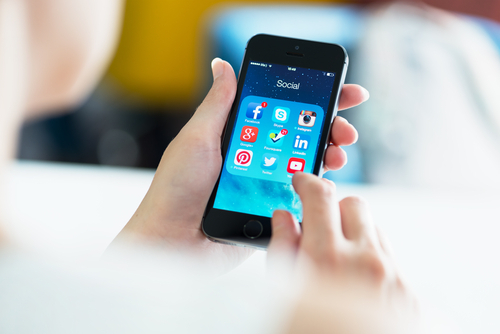 With security apps in place, mobile devices can be much more secure because there are far fewer threats specifically targeting them. There are certainly pieces of malware made specifically for Android, and to a lesser extent Apple’s iOS, but it pales in comparison to the threats being produced for PCs. Both Apple and Android provide security in their app store. As long as users don’t venture outside of the store to download unverified apps, they should have an entirely safe environment. PC users typically download more and take more risks online, which leaves their PC teeming with vulnerabilities and possible infections. If your mobile device has an antivirus app installed, and is absent of any existing malware, you’ll have a great foundation for a secure online shopping season. You’ll still want to use smart surfing tactics, however. For example, don’t use public WiFi for any activity where you’re asked to log-in to an account, or provide payment information. Public WiFi provides no security for your data, which allows criminals to easily intercept any information you send over that network. So, while a mobile device may be more secure for online shopping than your PC, it shouldn’t be used just anywhere. Shop from home on your own, secured network. Regardless of how you plan to do your online shopping this year, you need to take the proper precautions. To secure any of your devices, remove viruses and malware, or to create a more secure network at home or the office, call Geek Rescue at 918-369-4335.